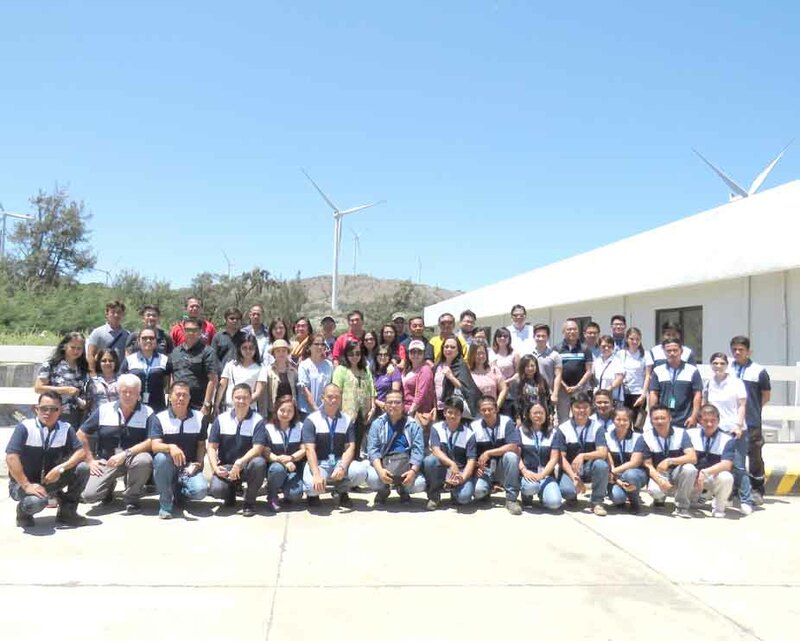 April 21, 2017 — Department of Energy (DOE) and Energy Regulatory Commission (ERC) representatives, together with the Philippine Energy Media, visited the North Luzon Renewables facility in Pagudpud, Ilocos Norte to learn about the operations and the environmental protection initiatives of the wind farm. The visit, which formed part of ERC’s Continuing Regulatory Education for Stakeholders (CREST) event in Northern Luzon, included a facility orientation, rounds at the wind turbines, and a drive-by at the NLR seedling nursery. NLR President Miguel de Jesus and Stakeholder Relations & CSR Manager Ma. Melissa Tuba-Principe facilitated the plant visit. The two-day CREST event started with a plenary session on day one which tackled various issues and developments in the energy industry. Sen. Sherwin Gatchalian, Chairman of the Senate Committee on Energy, DOE Undersecretary Felix William “Wimpy” Fuentebella, and AC Energy President and CEO Eric Francia were among the resource persons.